Joy is internal and independent of circumstances. It is an act of the will that produces inner contentment and is consistent and eternal. Happiness is external and depends on circumstances. It is an emotional response and is inconsistent and temporary. 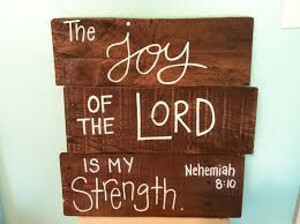 CONTINUE READING: Joy Versus Happiness.